I've heard about Dermaline from my aunt and my late but fashionable grandmother many years ago. For those who do not know, Dermaline started in 1996, they pioneered the face and skin care centers in the Philippines. 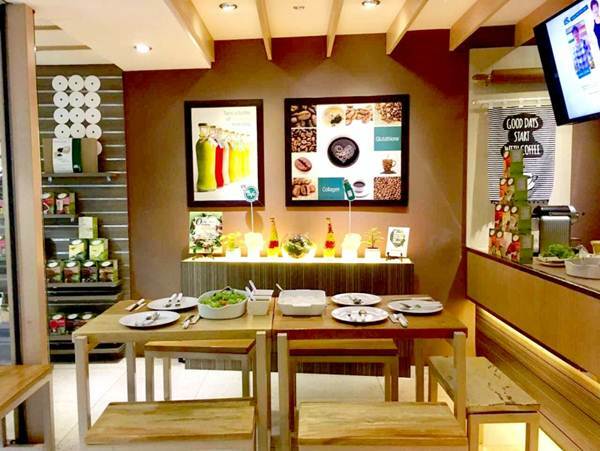 Today, the brand is more popularly known as Diana Stalder by Dermaline with over 25 branches here and abroad. I visited one of their branches in Quezon City, Diana Stalder Gateway Cubao as they celebrate its 3rd year anniversary. Diana Stalder is known as a face and body surgicenter, meaning they provide various treatments for face and body. They have variety of facial treatments, just today DS also launched four facial treatments. The clinic also offers skin care products from women's basic skin care kit to body moisturizers and even intimate wash. I met the passionate owner, Diana Stalder Face, Body, Skin Care and Beauty Cafe President and CEO, Dina dela Paz-Stalder and her daughter Diana. Dina started with a small drugstore, Beauchamps Pharmacy, in 1989. But she did not just stop there. In 1999, she further established BCP Dermatological Corporation as the marketing arm to distribute products, and the Stalder Laboratories Incorporation as the manufacturing arm to produce different products for every skin need. Moreover, Diana Stalder Face, Body, Skin Care and Beauty Cafe was first established in 1996 with a name Dermaline Facial Center, the one I mentioned earlier. 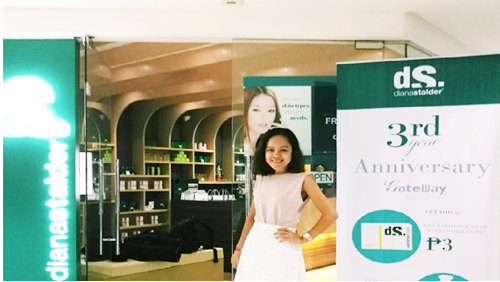 The brand name was changed in 2004 carrying the name of Dina’s daughter, Diana Stalder, who is now a registered pharmacist and aesthetician following her mother’s steps into the business. DS Cafe treated us to a good and healthy lunch at Diana Stalder's very own wellness cafe that serves healthy and organic meals at a very reasonable price. This Pork in Mushroom Sauce (Per serving: 399 Calories; 19g Fat; 47g Protein; 9g Carbohydrate) was good and tasty. I like how they make the sauce, not too oily and it was flavorful. It goes well with the organic red rice. (Per serving: 391 Calories; 17g Fat; 51g Protein; 5g Carbohydrate). The greens were fresh and crunchy. The shrimp was very tasty and complements well with the lettuce and spinach which are both bland. It was served with salad dressing as well. While enjoying the lunch, Diana Stalder team introduced their latest facial treatments - Nacar Treatment with Blanc White, Caviar Facial Treatment that comes with dS Anti-aging kit, Skin Sensations Treatment plus Gold Mask and Instalift Treatment plus RGnerin Mark RT4 Retinol with Vitamin C.
I will definitely come back at Diana Stalder to try one of their facial treatments so please visit this blog soon for my review. Congratulations Diana Stalder Gateway Mall branch. Cheers to more years of providing beauty and holistic treatments.